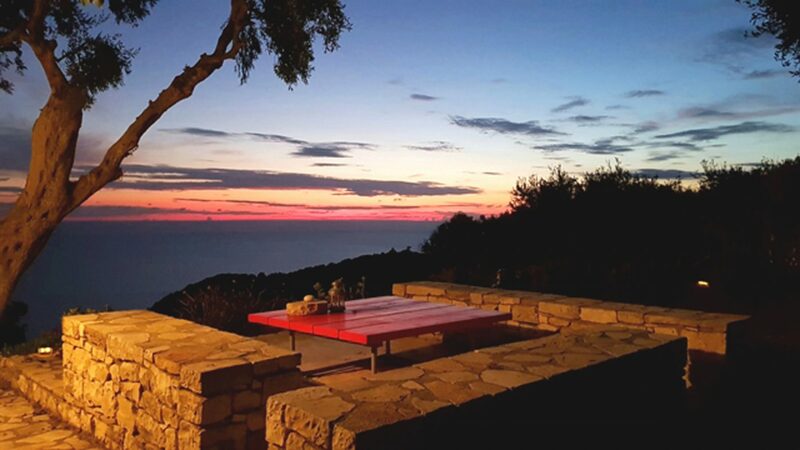 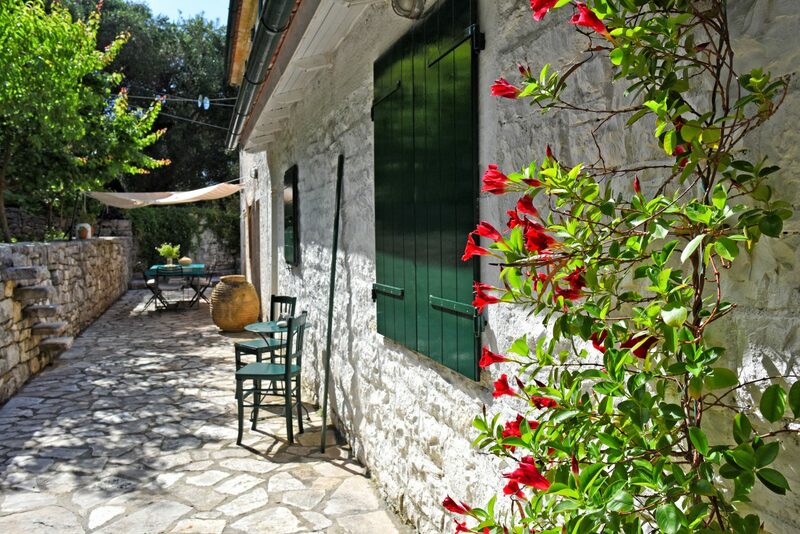 We can only say the best about Zoe - it is indeed a remarkable house in the most wonderful location. 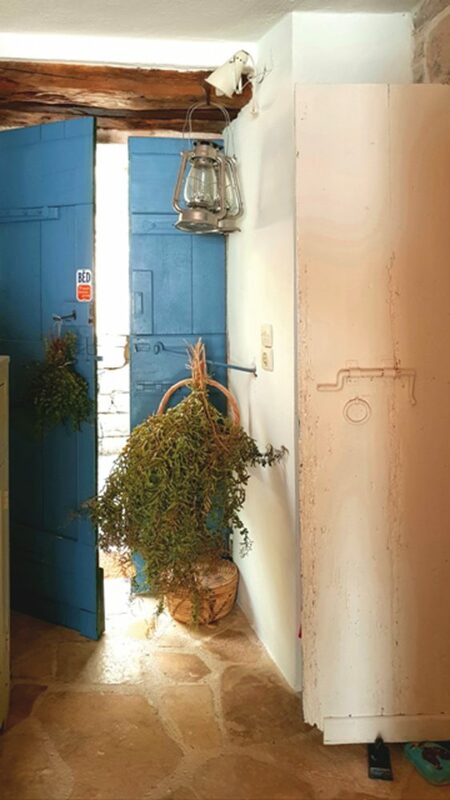 We felt really at home there - every detail and corner of the house and garden has been arranged with so much love. 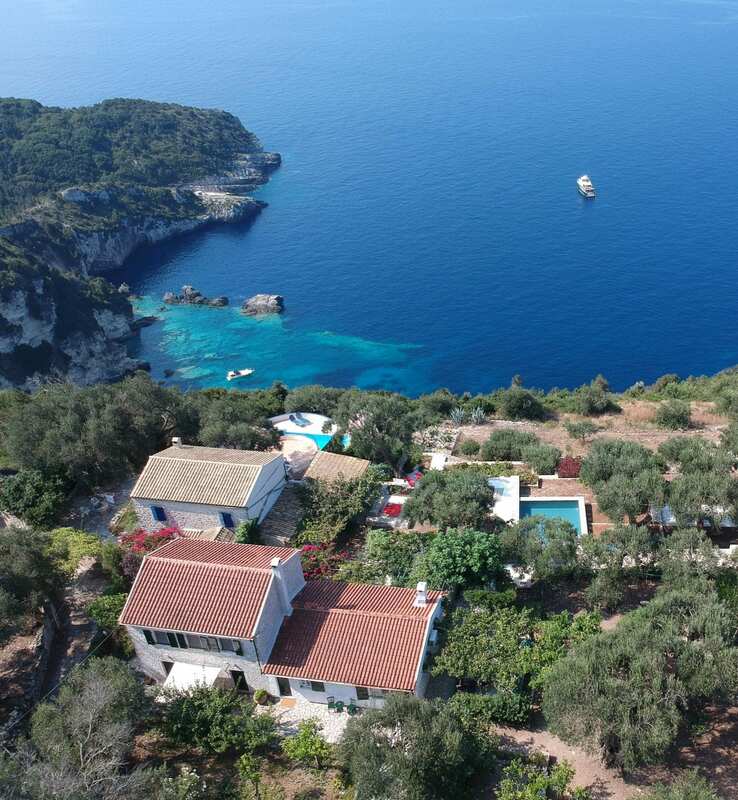 The crystal clear water of the Ionian islands has to be witnessed first hand, it is said that the sea is so blue that it reflects on the undersides of the seagulls as they fly across the water! 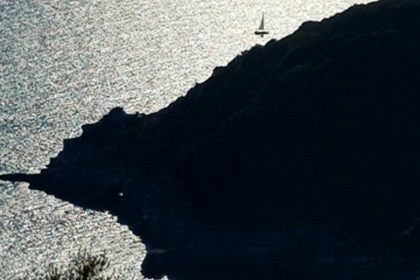 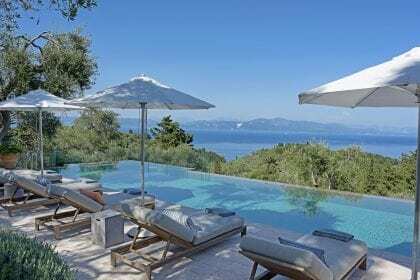 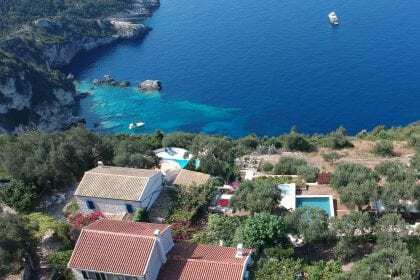 It is possible to charter a yacht or motor boat to lunch on Anti Paxos (2km) or just to explore the hidden beauty in every bay, drop the anchor and swim through the mysterious caves that dot the coastline. 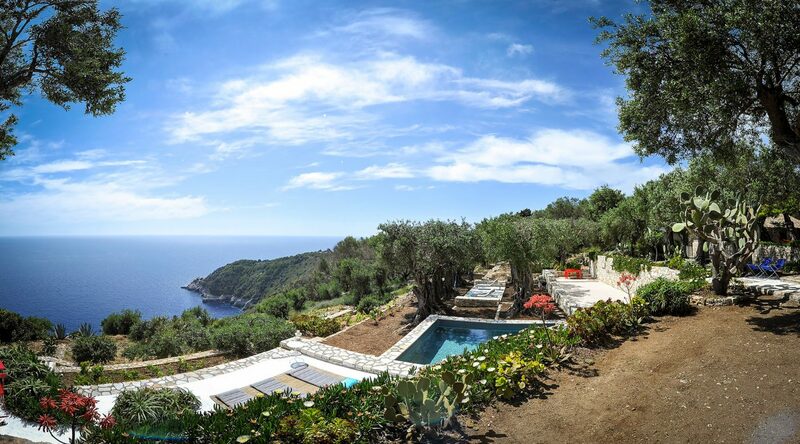 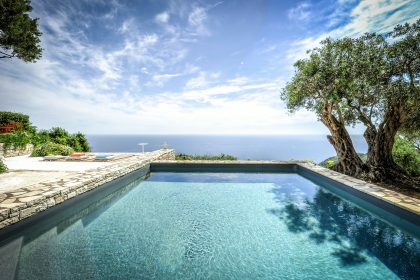 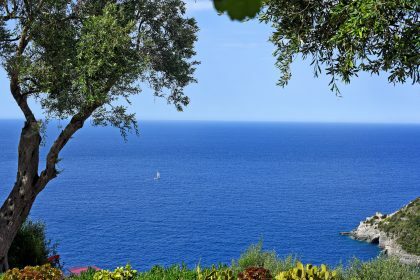 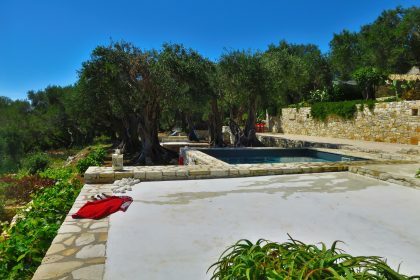 there are walks through flower filled olive groves, gentle fishing, snorkelling and diving. 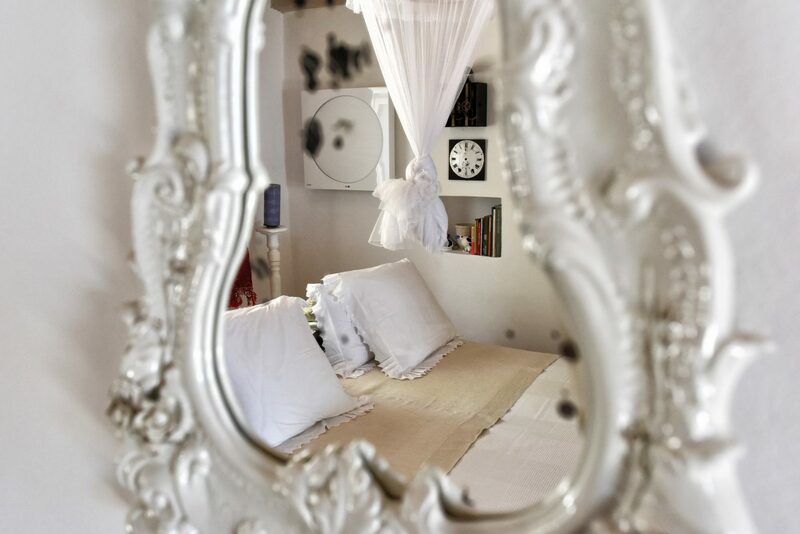 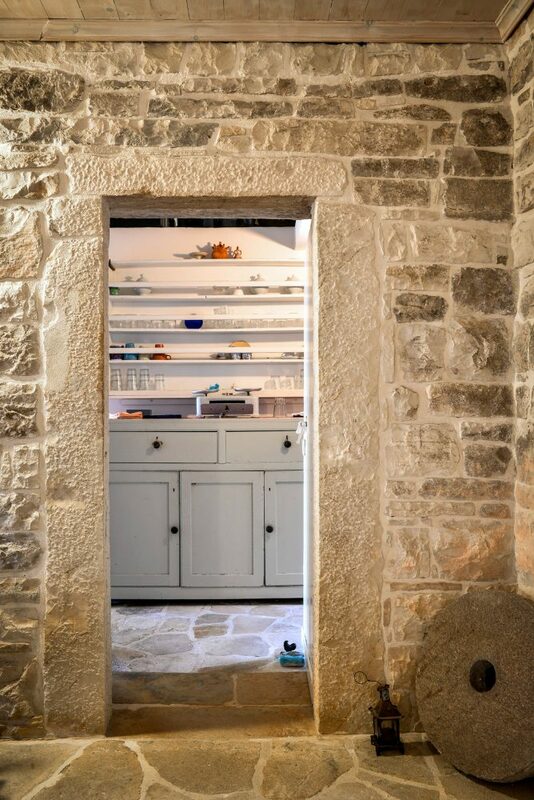 This quirky ancient house built in the 18th century has always been a favourite of ours. 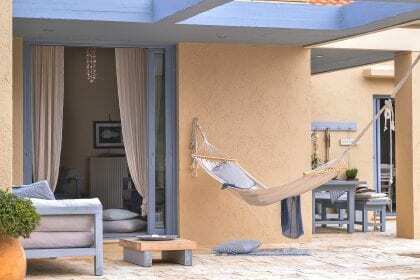 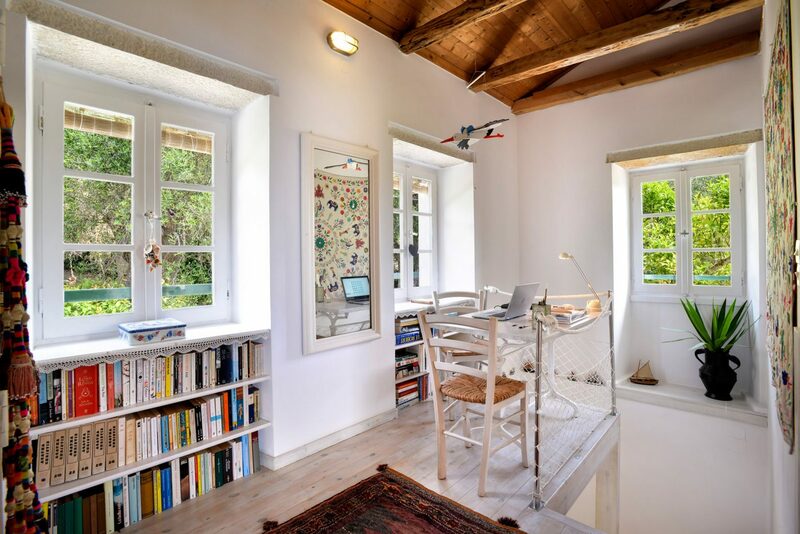 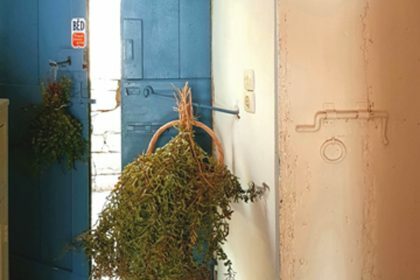 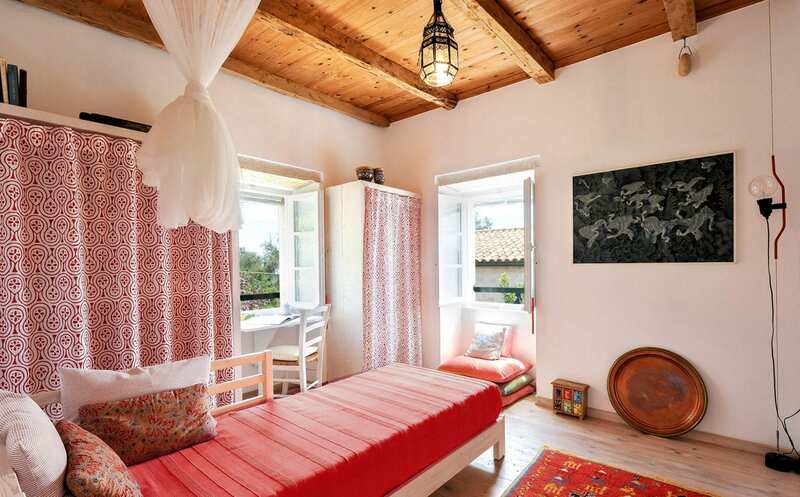 It is a traditional Paxiot house that has been sympathetically converted. 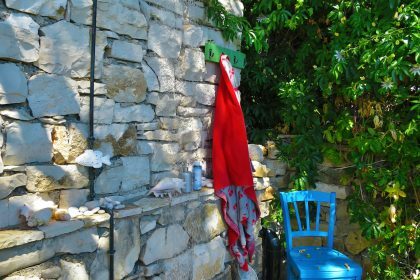 Its signature red gate is well known on the island. 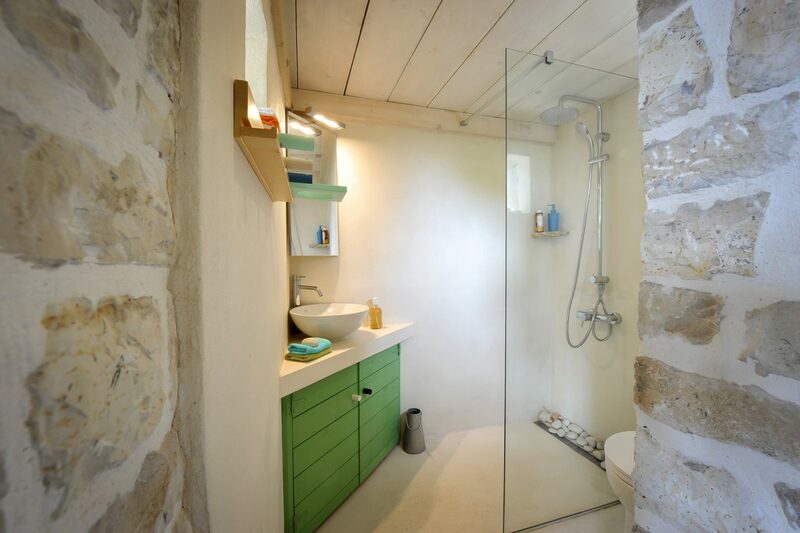 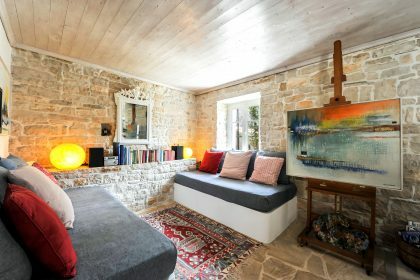 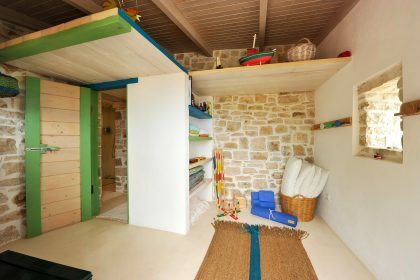 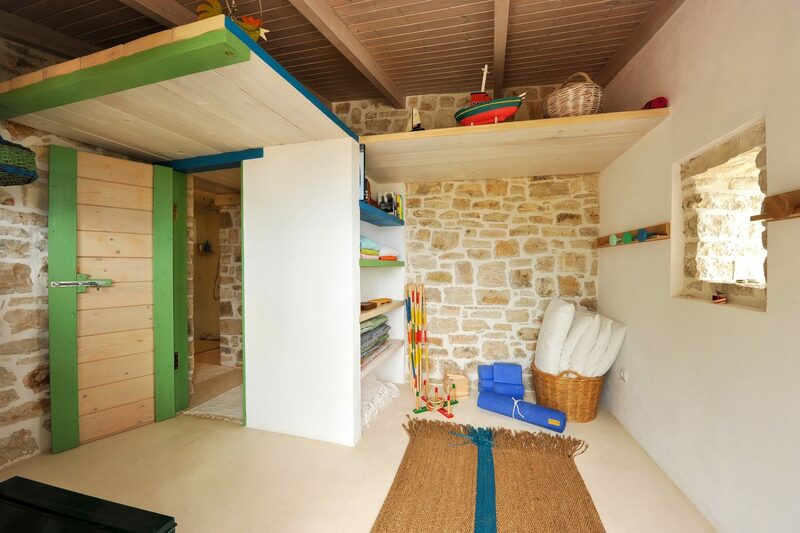 The colourful interiors contrast with white or stone walls. 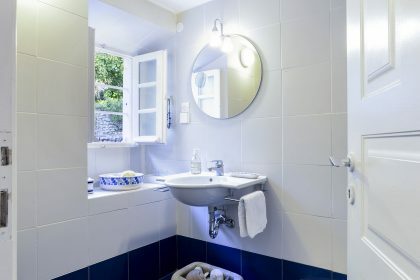 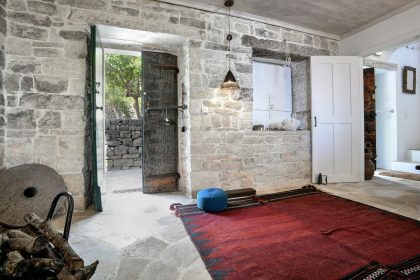 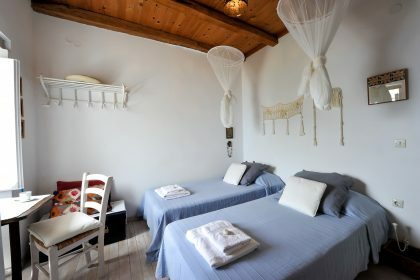 Old fabrics, rustic wooden furniture, peculiar vintage objects, stone tiled or parqueted floors give the house unique character and atmosphere. 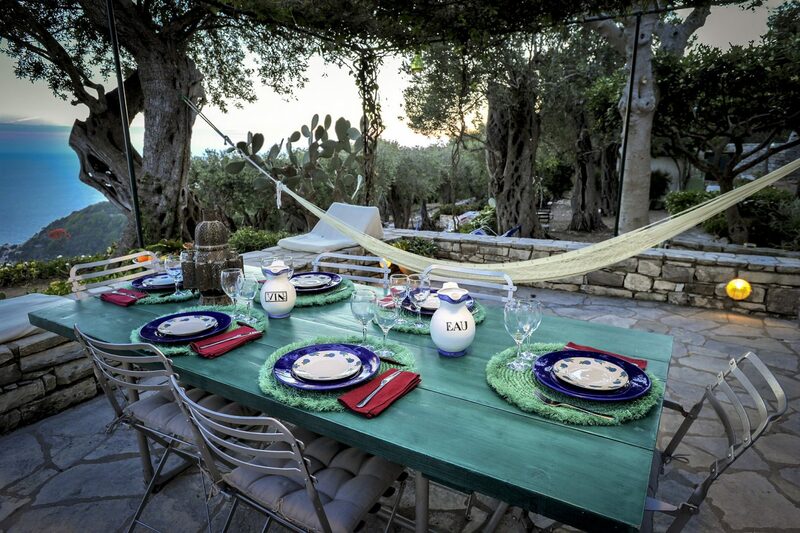 At Zoe, the real joy is the outside space. 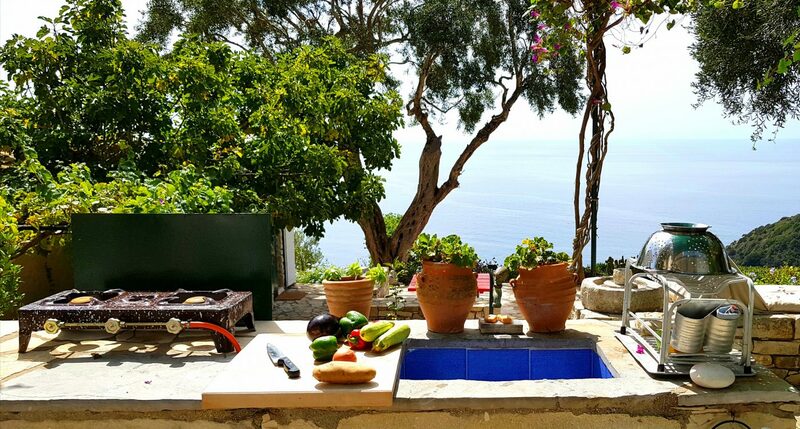 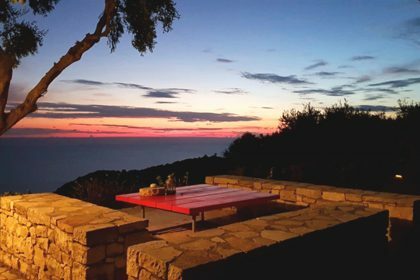 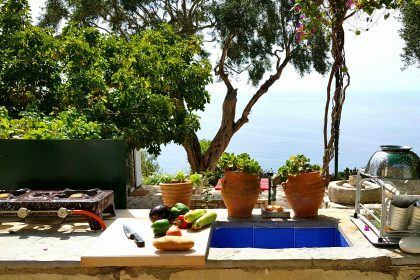 Imagine preparing meals with the most spectacular views ever! A very stylish slate grey square pool with solarium finishes this house off beautifully. 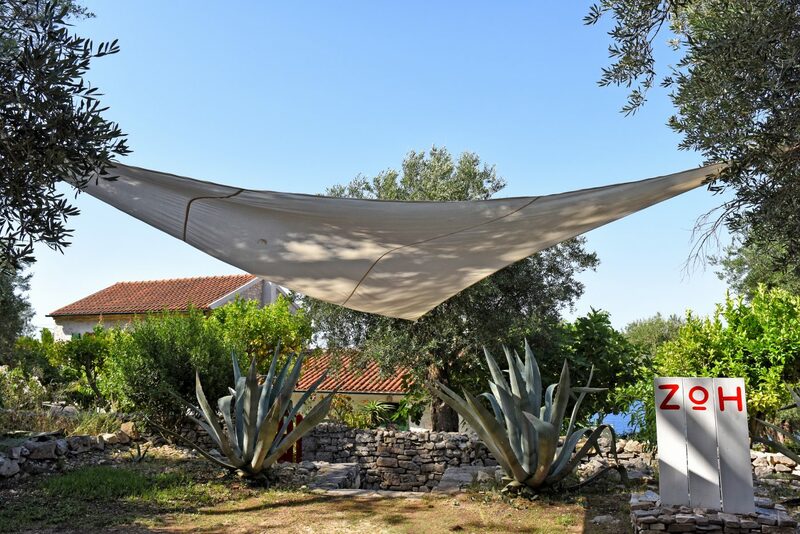 Different beautiful day beds all around thereafter ensure comfort while you read, talk or sup on something cold and delicious. 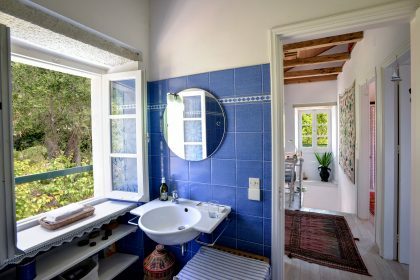 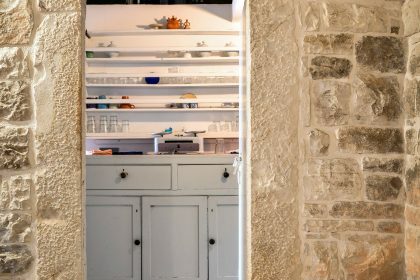 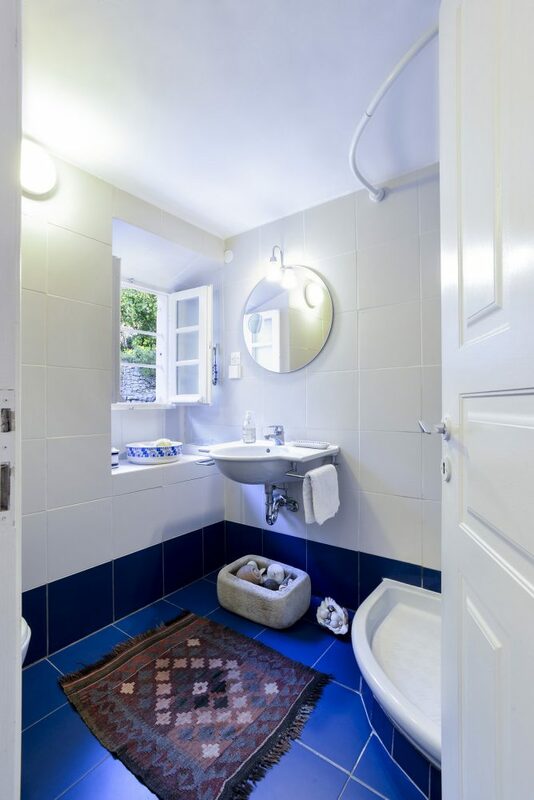 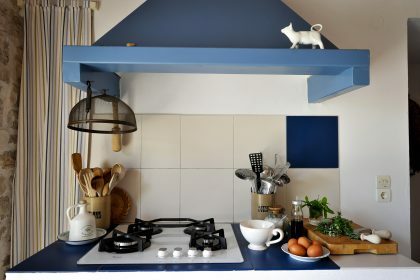 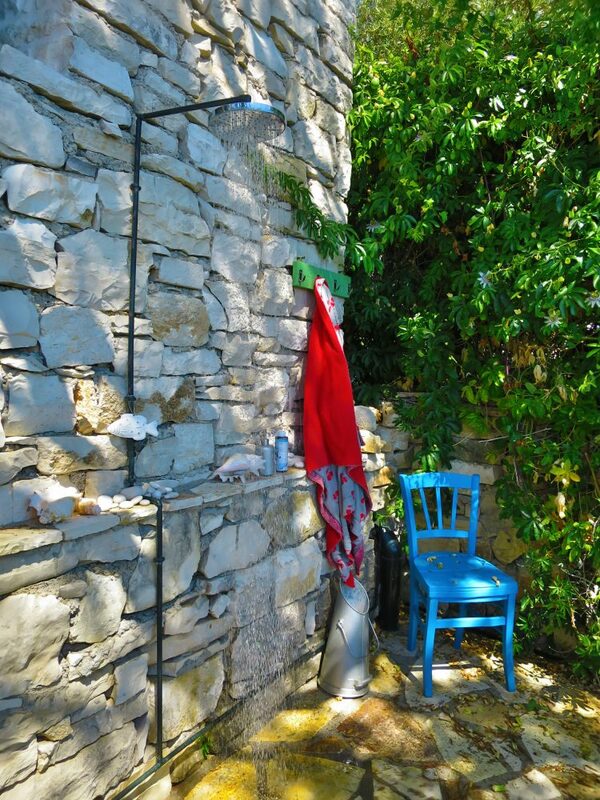 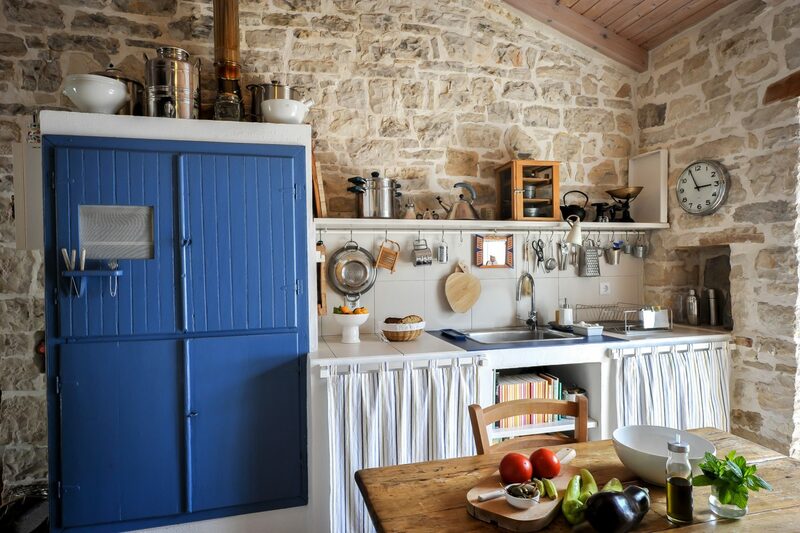 The kitchen is quaint in keeping with the authentic style of Paxos. 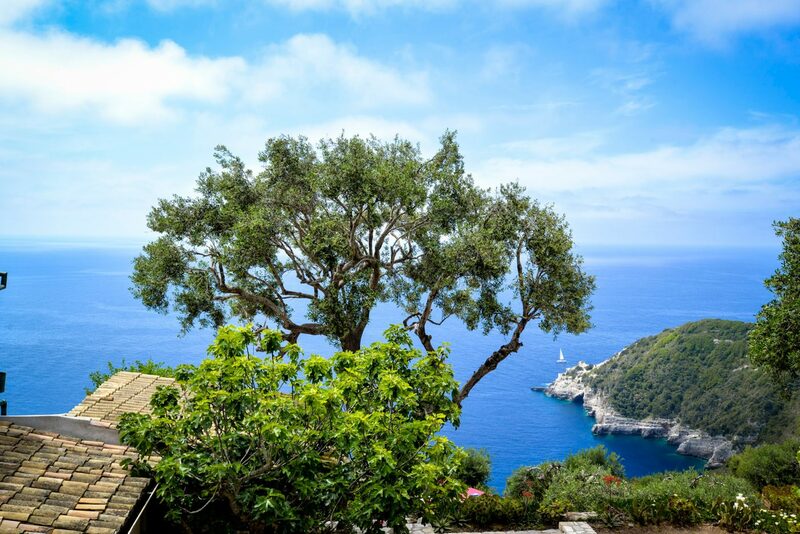 You will enjoy sea views from every room. 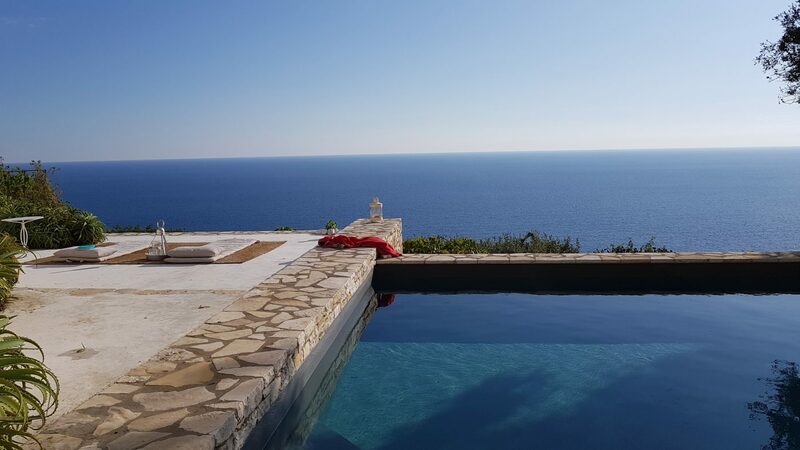 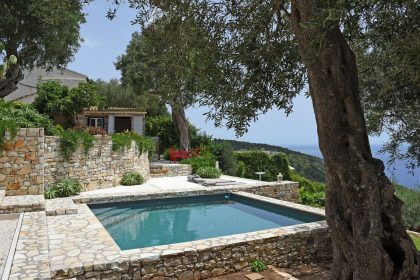 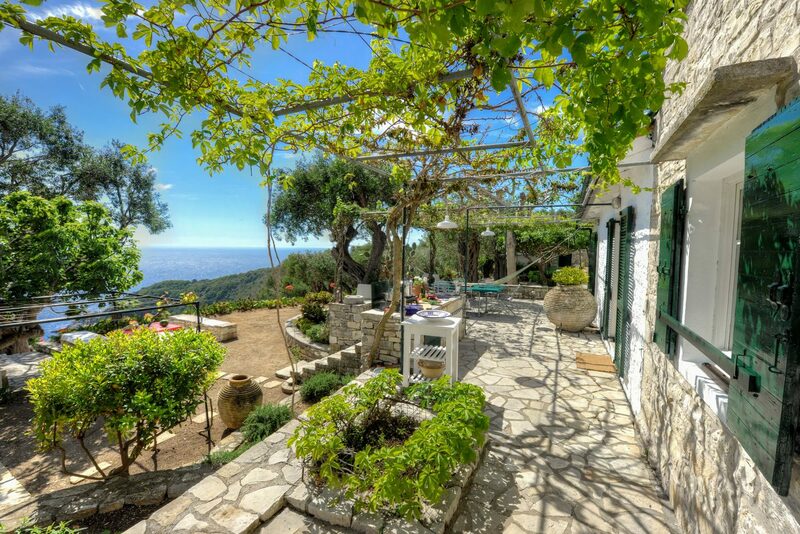 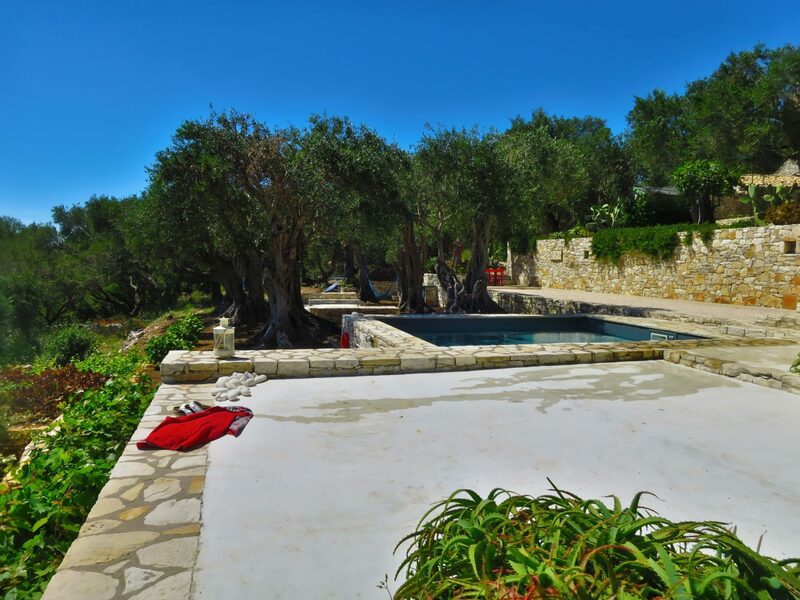 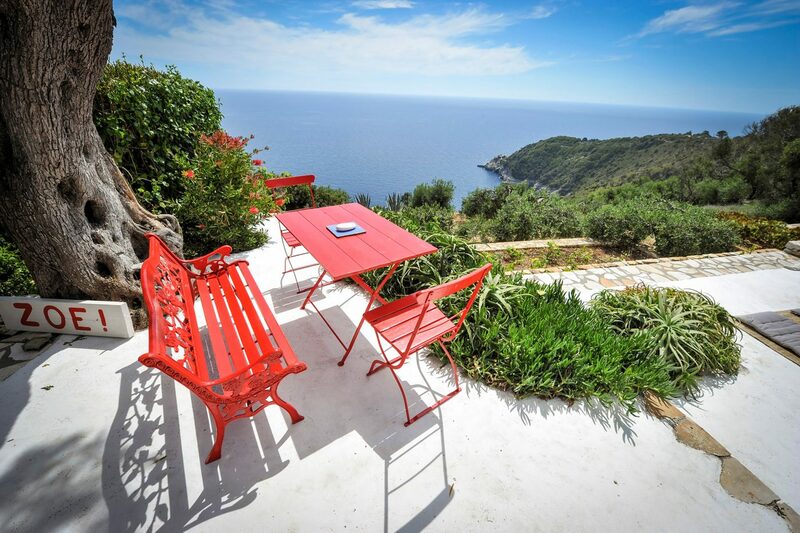 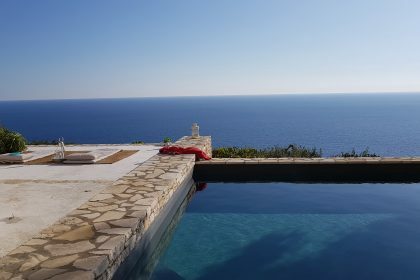 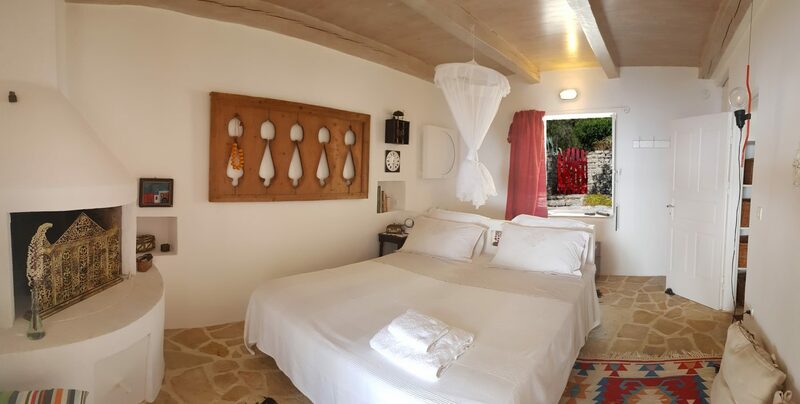 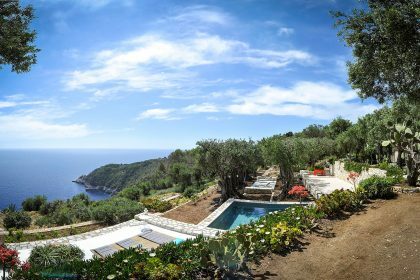 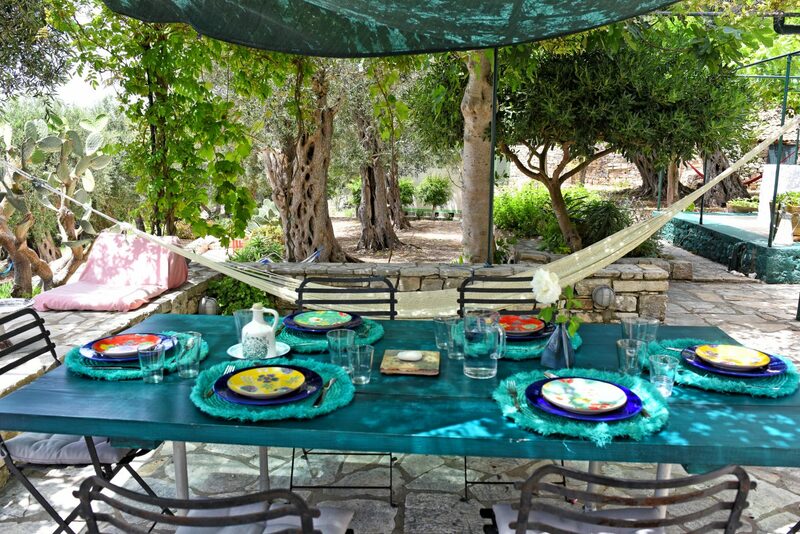 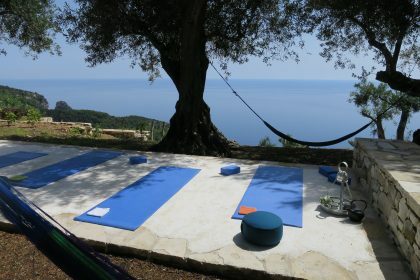 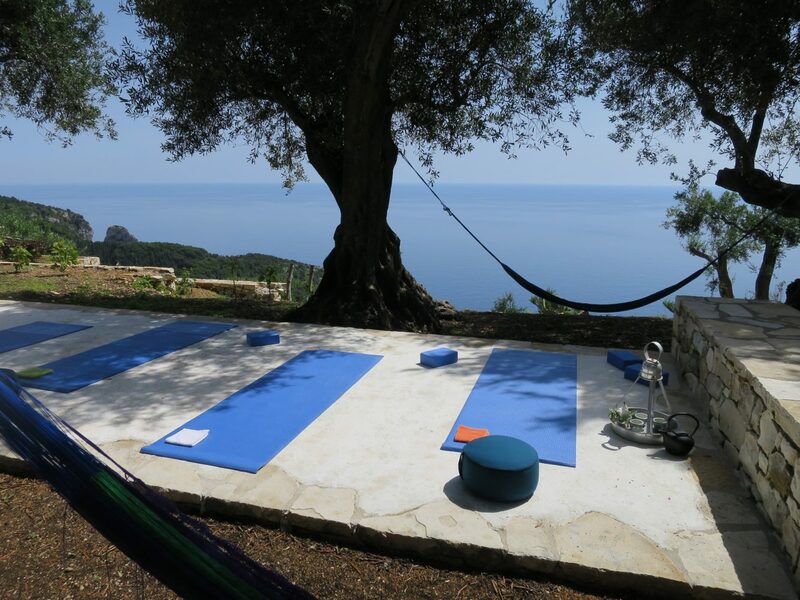 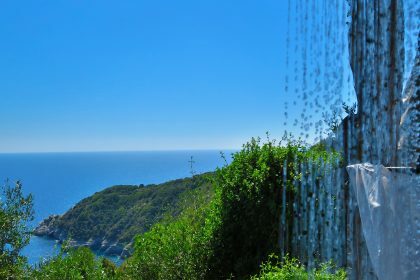 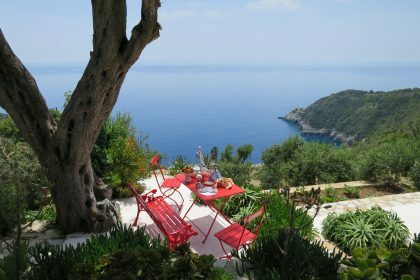 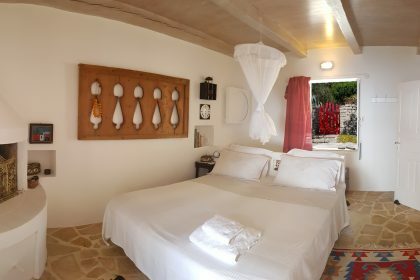 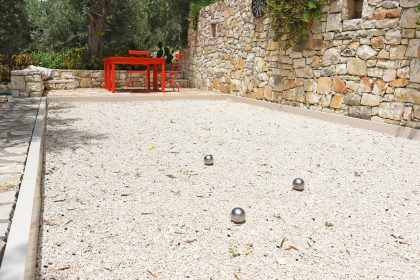 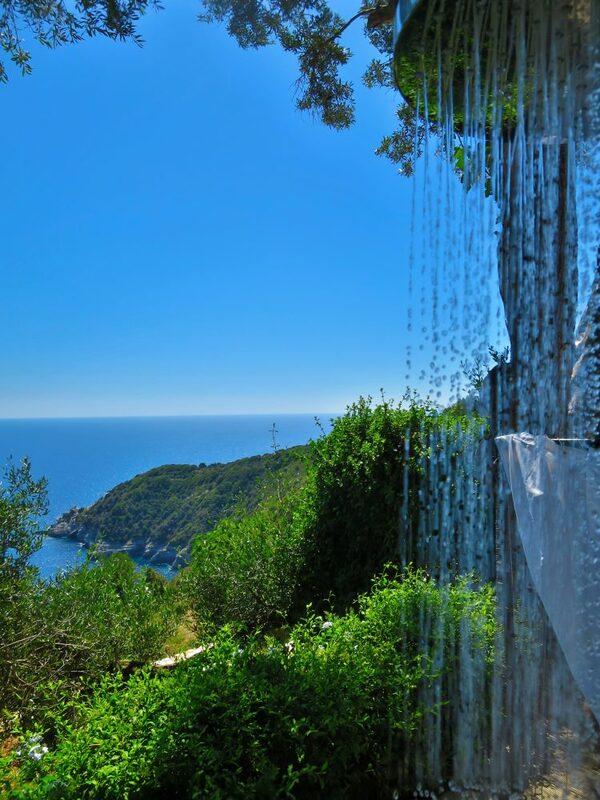 The property is surrounded by beautiful trees and the garden is well planted while maintaining a wild Mediterranean taste. 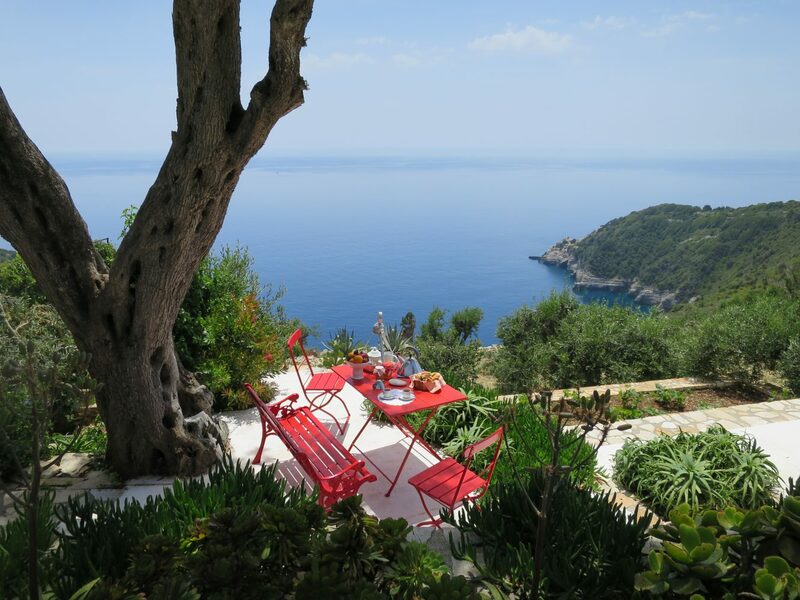 Our guests love Zoe (“life” in Greek). 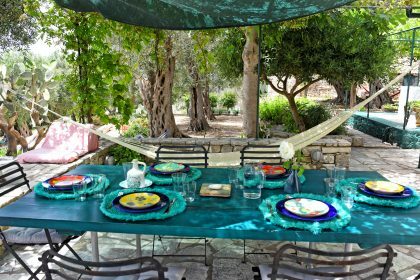 They love the peaceful shaded garden with its cooled/heated pool during the day – the perfect place to relax in after a long day on a boat. 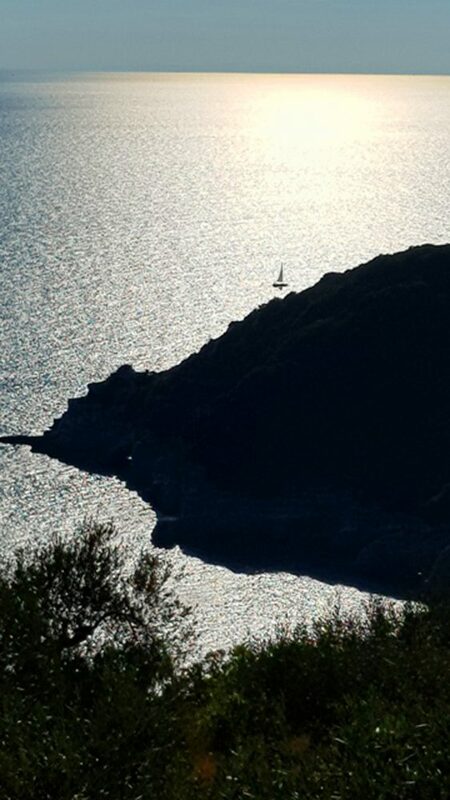 If you are lucky, at the right time of the year, sunsets and moonlights on the sea are unforgettable.